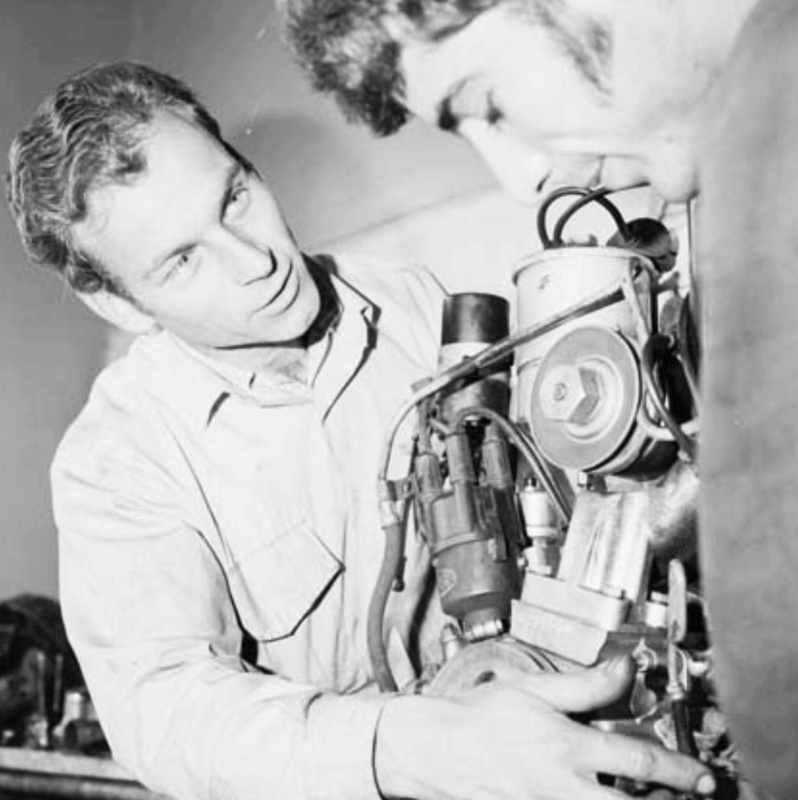 Nice find of a batch of interesting photos- this one of Bernie on the front of the grid, where he typically resided, and the other two which triggered this article are Australian Department of Immigration ‘success stories of migrants in sport’ of whom Bernie was one- he hails from Stuttgart, Germany. At the time of the article ( I wonder where it was published?) he had his own automotive business in Lane Cove, Sydney. 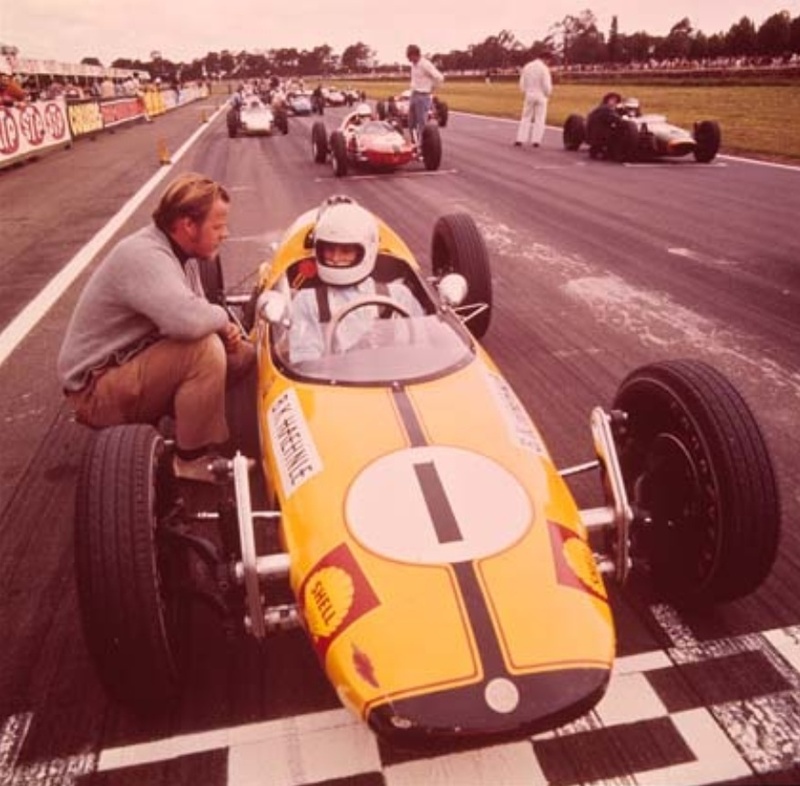 Haehnle progressed from FV- these Bob Britton built Rennmax Mk1’s were the ‘ducks-guts’ to have, especially in New South Wales, to Formula Ford, racing a Bowin P6F with much elan. 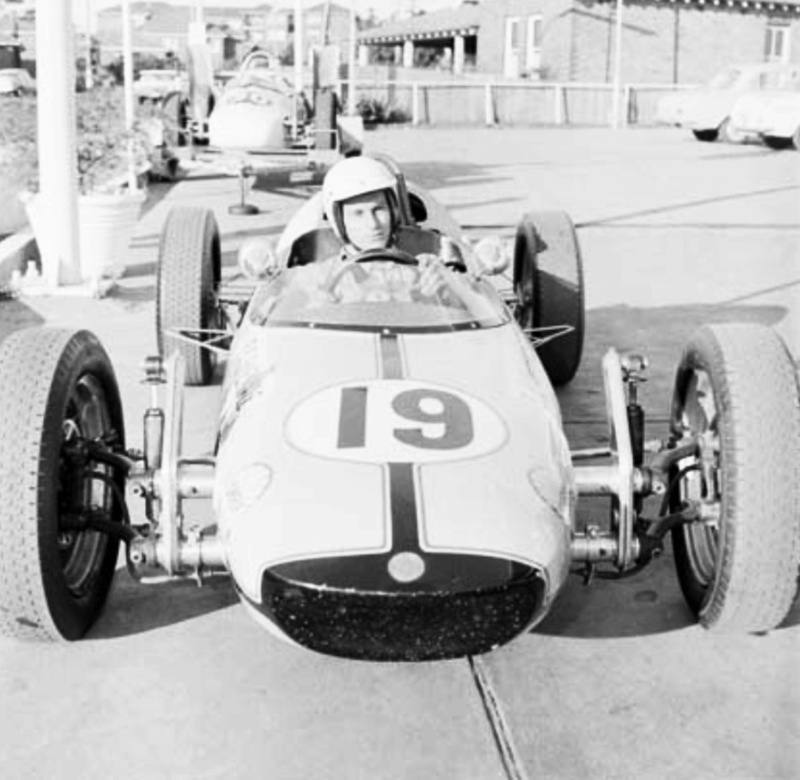 As was the case for top open-wheeler racers he usually saddled up in a Series Production car for the annual enduros at Bathurst, Sandown and Surfers. I wonder what he is up to these days? What a great way for a young driver to have his profile lifted. 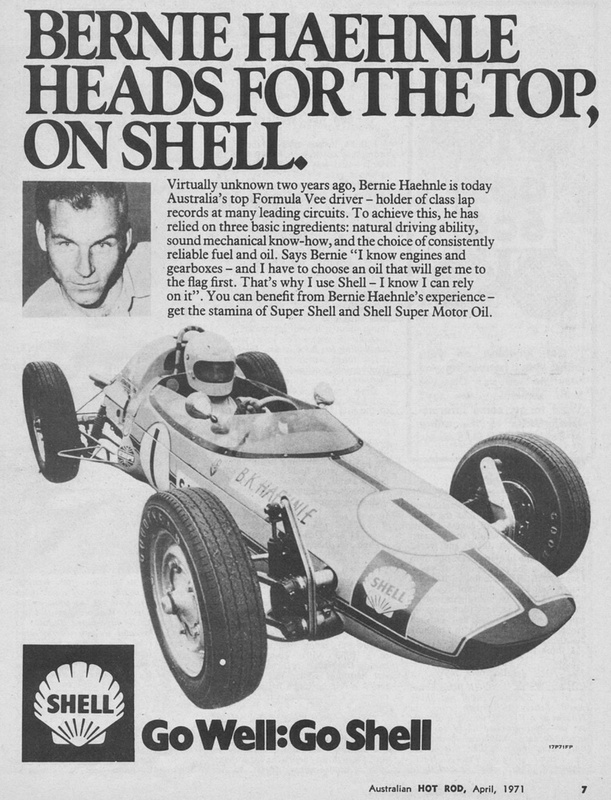 As a sponsored driver, these Shell ads were placed in the mainstream motoring magazines of the day, not just niche ones like ‘Australian Hot Rod’. Bernie was clearly determined and clever! 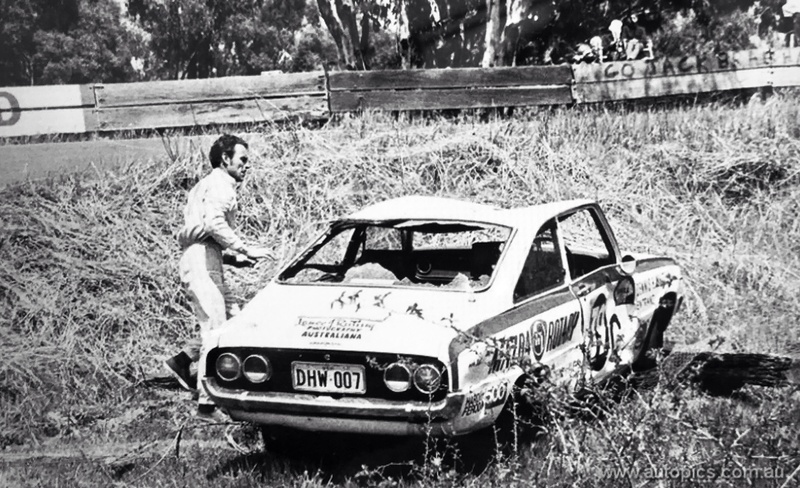 His disagreement with local real estate occurred at XL (Griffins) Bend during the running of the 1969 Bathurst 500 classic when he ran out of road heading up the mountain. 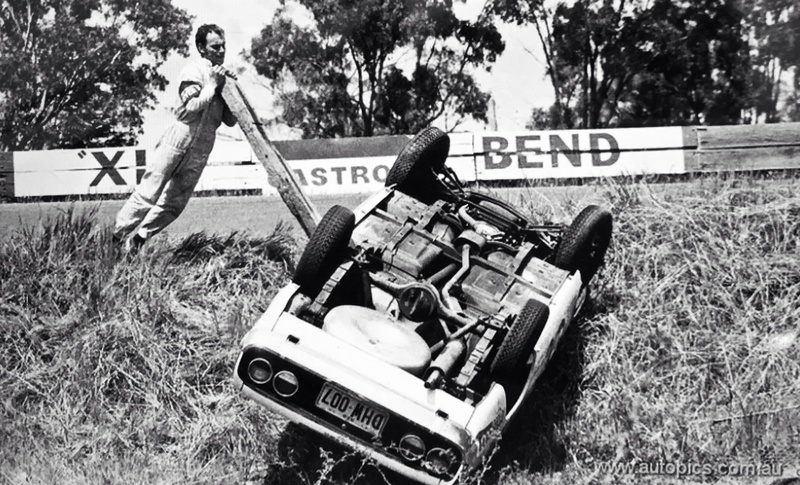 With his trusty fence post, leverage, push-and-shove and the fall of the land Bernie was able to get the little GH Whitehead entered Mazda R100 back onto its wheels and into the fray after an hour of toil. He drove down the mountain and through a farm before rejoining the blacktop. It is one of those feats of never-say-die which has gone down in Bathurst folklore- and garnered far more TV coverage than a mid-field class car could have ever dreamed of! Co-driver Peter Wherrett shared the car with him, the pair retired on lap 31 with PW not getting a drive but watching the drama unfold on the telly in the pits. The car was driveable, a tad second hand, but without a windscreen officialdom stepped in. 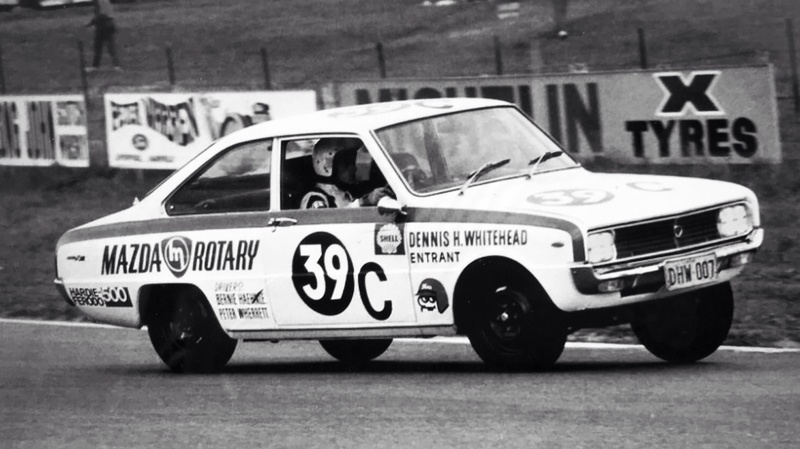 In an historic sidebar it was the first time a rotary engined car raced at the Mountain- in fact it was one of the R100’s first race appearances anywhere in the world. 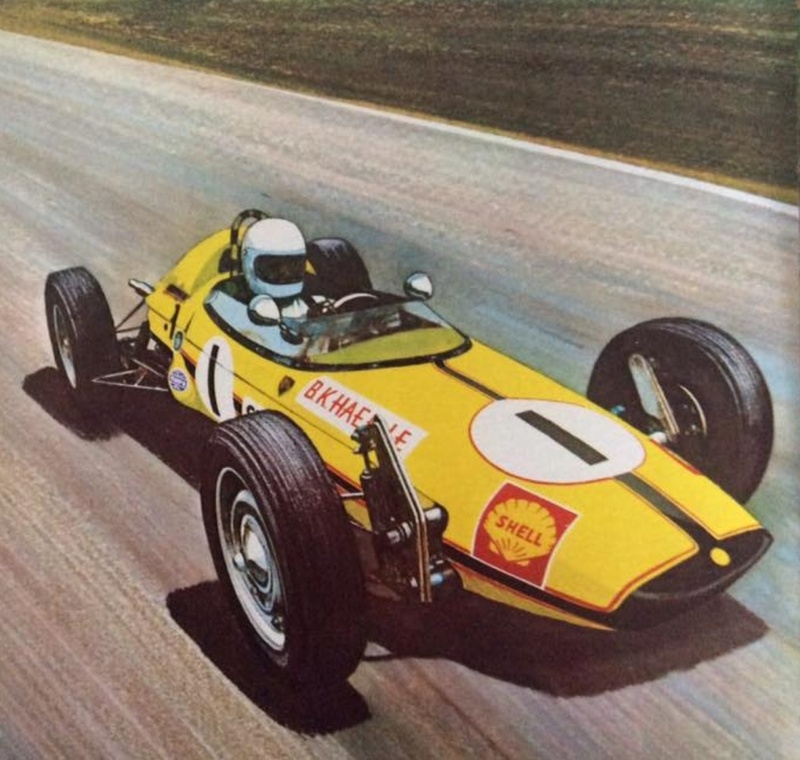 Whilst the 982cc, twin-rotor, 100bhp cars were very quick in a straight line thanks to a combination of power and light weight. With only 805 kg to cart along, the little coupe did the standing quarter in sub 18 seconds with a top whack of 175 km/h. It wasn’t as flash through the corners though- the R100 was very narrow and tall relative to its length, resulting in lots of body roll and fearful roll oversteer at high speed caused by toe-out on the outside rear wheels due to deflection in the leaf springs. Ask Bernie. Three R100’s started at Mount Panorama, the quickest of the two remaining finished fifth (Garry Cooke/Geoff Spence) in Class C behind the winning Cooper S, two Fiat 125s and a lone Valiant Pacer. 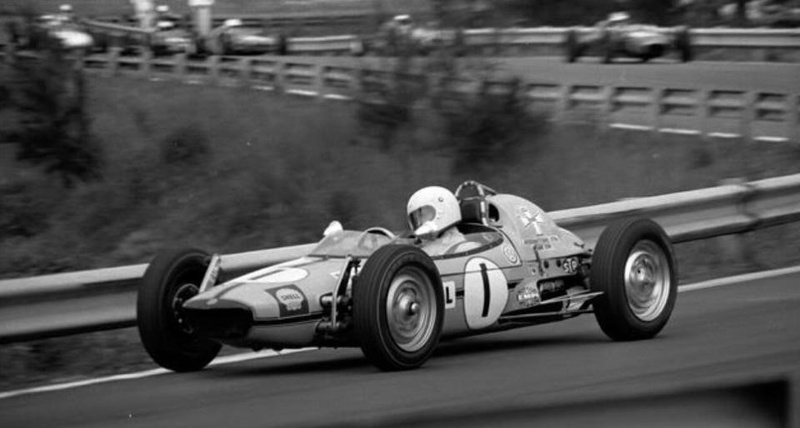 The second R100 was seventh- the Mazdas finished two laps behind the winning Coopers with their superior handling, fuel economy and long track record of motor racing success. What was impressive was that two standard, off the production line examples of Mazda’s new mass-produced rotary survived 500 miles flat-knacker on one of the world’s most challenging circuits without a drama. Mazda became an important force in Australian touring car racing over the ensuing decade, all of which started with the R100 and test-pilots like Bernie!